If you enjoyed the Washington Witch series, then this book will not disappoint. I truly enjoyed reading David's perspective and to know what he was doing when he was away from Jane. Mindy is a talented writer. I suggested A Girl's Guide to Witchcraft for my book club. It was my second time reading it and a great choice to freshen my memory right before reading this one. Other book club members shared their enjoyment of the book and are planning on reading others in the series. I look forward to sharing this one with them too. 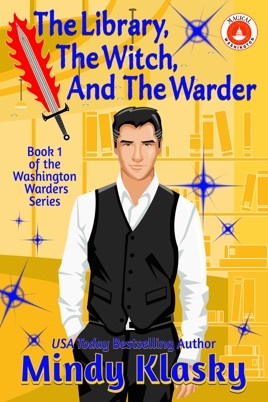 The Library, the Witch and the Warder by Mindy Klasky is the beginning of the Washington Warders series. David Montrose is a warder who has been sidelined courtesy of Haylee James, a witch who did not appreciate David’s by-the-book approach (he likes to follow the rules). For the past three years, he has been working under Norville Pitt as a file clerk. Unfortunately, David made the mistake of pointing out an error his boss made in the hearing of some court officials which resulted in an audit of Pitt’s paperwork. Pitt is a vindictive man who delights in torturing David with unnecessary work and excessive criticism (a petty, nasty little man). A friend reminds David that he needs to be bonded to a witch before Samhain or will be stuck working for the court (Norville Pitt) for another year. Late one night he gets a summons from an artifact that he had catalogued. He arrives to find that Jane Madison has opened the Medieval Compendium and awakened a familiar (on a full-moon night). David finds her entrancing, powerful and unaware of how to work magic. Could Jane be the witch for David? Would he be the right warder for Jane? David is about to fall into bed when his best friend and shifter, Connor Hold calls with an emergency. An important artifact belong to the Washington Pack has been stolen, and Connor needs David’s assistance in retrieving it. David needs to tread carefully, or he could find himself in the middle of a war. David is in for a busy time with his duties as a clerk for Hecate’s Court, helping Connor, keeping an eye on Jane and, mostly importantly, keeping Norville Pitt away from Jane. Will David be found worthy on Samhain by Goddess Hecate to be Jane’s warder? Come along for a magical journey in The Library, the Witch and the Warder. The Library, the Witch and the Warder is David’s story (takes us back to when David met Jane). We get to see his side of events as well as meet his friends, family and enemies (versus Jane Madison’s story in Girl’s Guide to Witchcraft). 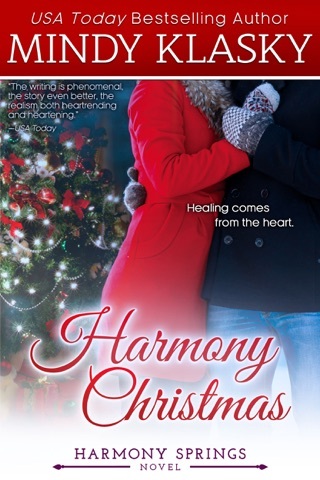 I found the story to be well-written with entertaining characters (Aidan O’Rourke, Connor Hold, Neko, Linda Hudson). The pace varied throughout at the book. I found it a little slow during the first half of the book, and I was happy to see it pick up later in the story. I did miss the humor that is normally present in Mindy Klasky’s books. We get glimpses of it periodically (mostly in the scenes with Jane and Neko), but I think the book needed a little more (I am probably shocking some of you with this statement). It was interesting to find out more about David Montrose and see how his attitude/behavior changed. I cannot believe everything he had going on at the time he met Jane. You do not have to read the Jane Madison Series, before indulging in The Library, the Witch and the Warder. 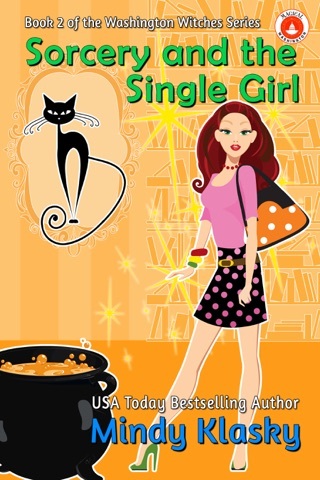 However, the Jane Madison Series will have you entranced from the first page to the last with many laugh-out-loud moments. My rating for The Library, the Witch and the Warder is 4 out of 5 stars (I liked it). I have read all the Jane Madison books which I highly recommend from Jane’s point of view. Now I have just read from David’s viewpoint and more. You will learn about David’s past and meet some of his friends and his enemies. I enjoyed the book and look forward to the next in the series!